Once you log in with your NatureShare account, your sightings and photos will migrate with you into the new app. This is a one-time process. If something doesn’t look right, don’t worry—all of your data is untouched, safe, and secure. • Bird Alert: You can now receive a notification when the birds you want to see are nearby. 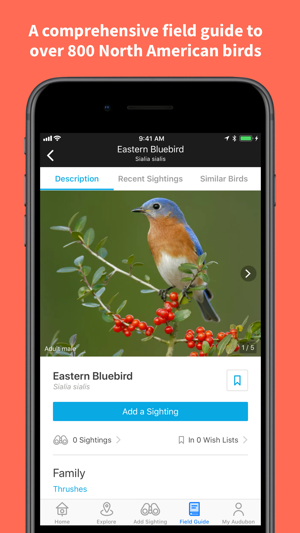 To get started, create a Custom List of species in My Audubon and tap Add Bird Alert. • Recent Sightings Map: We've redesigned the Recent Sightings tab for every species in the Field Guide. It will now plot all recent eBird sightings on an interactive map. Dive in and see where the birds are! • Fixes an issue in version 5.2.0 that was causing a crash for some users. 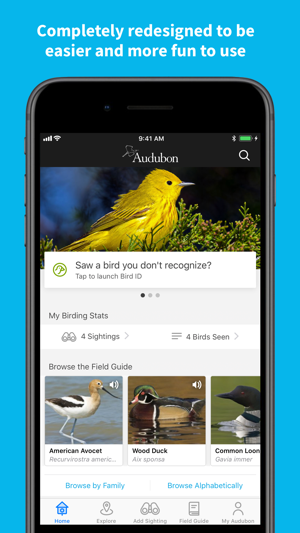 As always, if we can assist you in any way with your app, please contact us at audubonconnect@audubon.org. UPDATE: I love the app, but both my wife and I *hate* the new interface! 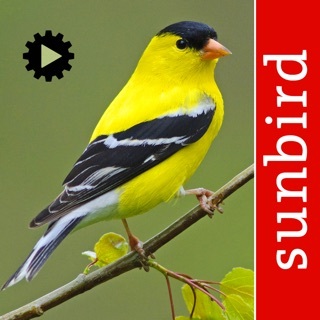 😡 Whatever Audubon paid to have this app redesigned, they lost big-time. The new interface REQUIRES you to create an account, and it's almost impossible to easily find what you're looking for. Dropping my earlier 5-star rating to a generous 2 stars. This reeks. So sad. Please bring back ability to see all nearby observations!!! This update is making bird life miserable for me. I have been using this app for about 10 years. 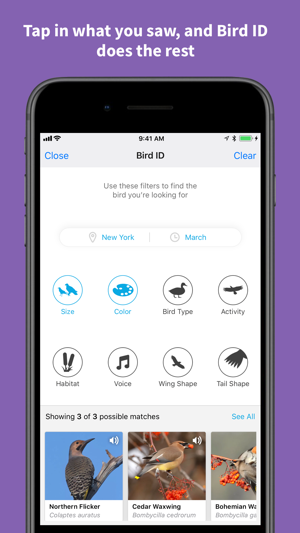 I am an avid birder and rely heavily on it for the bird info where you can search by your location and pull up all the birds in your location that have been reported. Now you can only search by Hotspots and it only shows you daily lists, which are incredibly incomplete. I just went on vacation to Austin, Texas. I have never been there and tried to figure out what birds I had the potential of seeing. This new app version was completely useless. It kind of made me want to cry because I couldn’t figure out what birds were around me. Sooooo frustrating! I went to hotspots and the format for that was nearly useless. Why did you take this feature away after 10 years? Now it’s the beginning of migration season up here in New York and I have no way to know what’s coming in. The hotspots don’t help because they are so specific to that area, it won’t apply to where I live and bird. Please bring that feature back ASAP before it ruins the migration season we wait all year for. We're sorry to hear about your experience with the app. We have made some changes to the Explore section, but it is still possible to see what birds you might find in other locations. 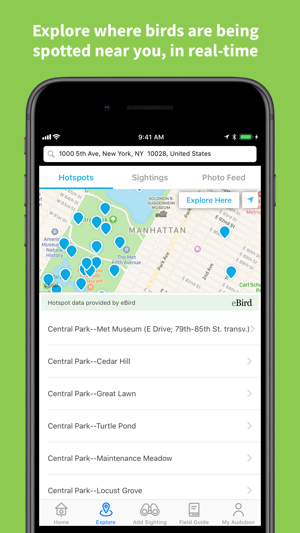 You can use the location search bar at the top of both the Hotspots and Sightings tabs to search for recent sightings in any location around the world—not just at Hotspots. Coming soon, we'll have a much-improved way to view sightings for a single species on a map, so you can visualize where it has popped up recently. Hopefully this is helpful. 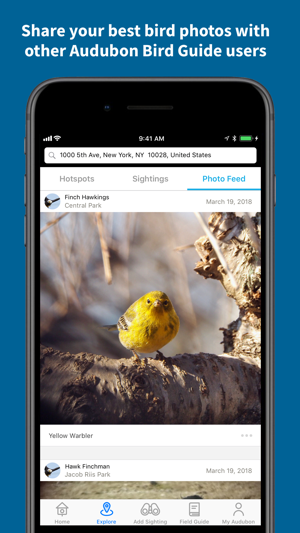 If there is any other way we can assist you, or if you have additional feedback on how we can make the app better, please contact us at beta@audubon.org. I just used the newly updated app for the first time and I already miss the old app. I saw a bird flying that I didn’t recognize so I used the bird ID part of the app and it is worse than the old version. This new version has too many steps and I don’t like having to go back and forth among all of the characteristics I need to enter. The old version was much easier to use and worked just fine. If I’m out birding and I see a bird I don’t recognize I want to try and ID it quickly, not go through a bunch of steps to try and ID it. The results on this new app don’t seem as accurate as the old one and there seem to be a lot fewer results. I also don’t like the stories that take up most of the app. I understand you want to share news and information but this app is not the place to do it; or at least have a separate section for it. I also had to create a brand new account to use this app because it said it didn’t recognize my email address. I wish I hadn’t updated the app and I don’t think I’ll be keeping it much longer. It’s not helpful at all.